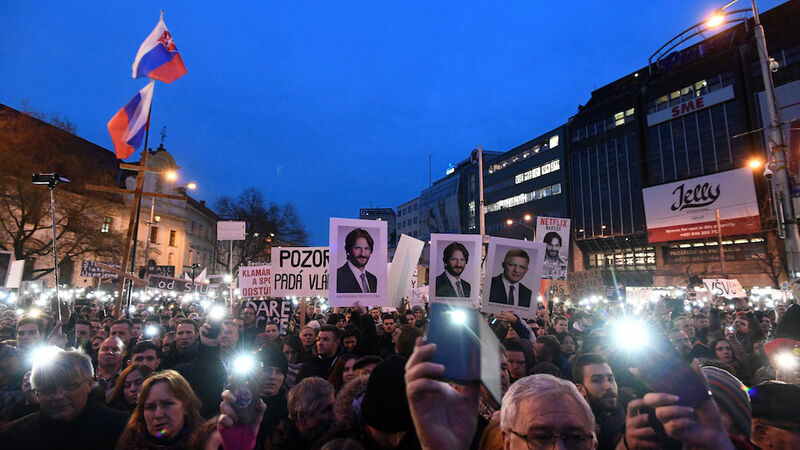 The murders of Slovak journalist Ján Kuciak and his fiancée Martina Kušnírová set off a wave of protests throughout the country. Having already forced the resignation of a long-term Slovak Prime Minister there’s no telling how far they could go from here. At the end of February, the murder of Slovak investigative reporter Ján Kuciak and his fiancée Martina Kušnírová shocked the country. Within days it sparked mass street anti-corruption protests that toppled populist Prime Minister Robert Fico and pushed his center-left ruling coalition to the verge of collapse. 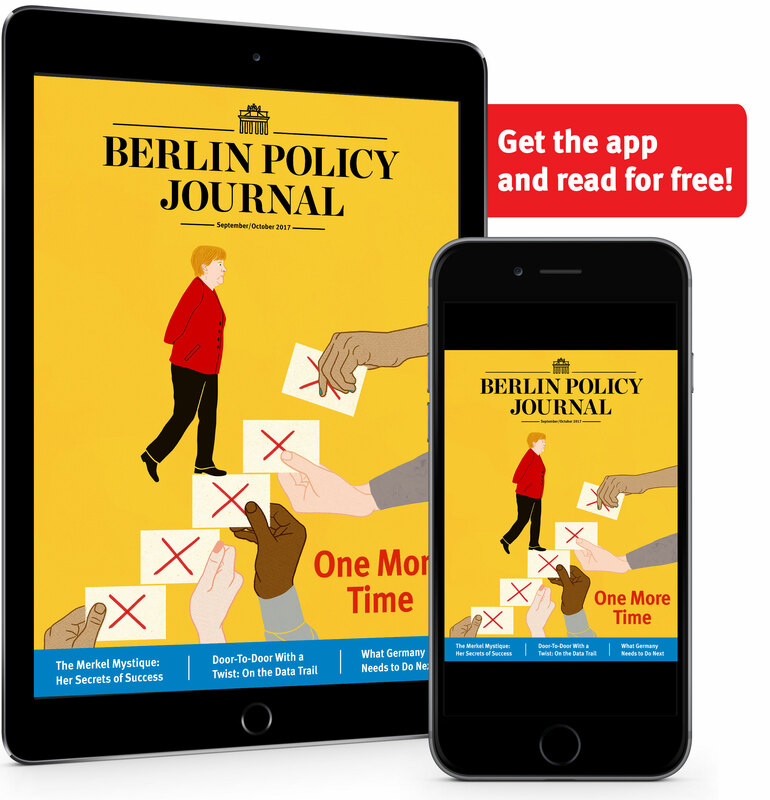 For now, it seems that a snap election has been avoided—but the implications carry a powerful message beyond this small Central European nation. Let’s start with the killings. This is the second high-profile murder of an investigative journalist in an EU member state, the first being that of Daphne Caruana Galizia. Like her, Kuciak was probing not only financial crimes in his home country, but also local links to international crime schemes and tax evasion exposed by the leaked Panama papers. He was only 27 years old, but according to his colleagues ahead of the others in data mining, and was deep into an advanced collaboration with colleagues in the Czech Republic and Italy. Slovak authorities have set up the largest investigative team in the country’s history, and are being assisted by Italian and Czech colleagues, as well as by Europol and the US Federal Bureau of Investigations (FBI). Meanwhile, a joint international investigative team has been demanded by the protest organizers, who do not trust Slovak police. Kuciak’s murder is a tragic reminder that, in some EU countries where state law enforcement bodies are not doing (or not allowed to do) their job, it is up to fearless reporters to risk their lives. This makes peripheral eurozone countries with weak state structures and histories of political cronyism attractive for money-laundering. In this context, fearless, skillful “lone wolf” investigative journalists, plugged into international investigative networks, present a bigger threat to organized crime than meets the eye. But let’s not fool ourselves—this is not only about Malta or Slovakia. There are several countries in the EU with similar corruption problems and weak law enforcement. Therefore, this is also a challenge for EU institutions. The European Parliament sent an ad hoc delegation to Bratislava last week, which published a solid report. Its findings, and the safety of journalists across the Union, were discussed in the European Parliament on Wednesday. But it’s not clear what the next steps are. Members of the EU delegation were shocked to find widespread distrust of the state institutions, notably the police and the law enforcement agencies; this stands in sharp contrast to the external perspective from Brussels, where Slovakia was passing under the radar. Perhaps this tragic case should be a catalyst for a more systematic approach at the EU level, including a new mechanism to support journalists and civil society organizations working on corruption or rule of law issues, especially in member states with high distrust in law enforcement. This is a chance to fulfil the “more Europe” demands voiced by protest organizers, and supported on paper by the embattled but still pro-EU government in Bratislava. Second, the murders of Kuciak and his fiancée stoked a huge amount of public anger over corruption and the government’s lack of effort to tackle it. Within days, this rage erupted into the biggest street protests since the end of communism. If the reported numbers do not look significant from the outside, think proportionally: Bratislava has a population of half a million, so a crowd of 40,000 people in the main square would be like 200,000 people in nearby Vienna or Budapest. Organized by grass-root activists, last Friday’s protests spread out to some 50 towns throughout the country, and symbolic gatherings of Slovak expats even took place around the world, from Vancouver to Munich. Their main demands: a decent country, independent institutions, and stronger rule of law. This is a very encouraging sign in our times of political apathy. But will it be enough to achieve lasting improvement and a decent country? Third, the deep political crisis in Slovakia is still evolving. Protests that started as strictly apolitical eventually turned against the government of Robert Fico. His populist Social Democrat Smer („Direction“) party has been in power for most of the last twelve years. Although serious concerns about corruption existed before, the scale of scandals and conflicts of interest involving the Smer leadership have reached unprecedented levels. And yet none of them has been properly investigated. This paradox was summed up by The Economist recently: just six of the more than 800 people convicted and sentenced for corruption since 2012 were public officials, and the highest-ranking of those was mayor of a town with fewer than 2,000 residents. These numbers translate into falling support for the ruling party. A fresh poll by the Focus agency a few days ago showed 20 percent support for the government, a five percent drop from last month before the protests started, and 62 percent of Slovaks wanted Fico to leave. Fico was once seen as one of Europe’s most successful center-left leaders. Back in 2012, Smer won a huge 45 percent share of the vote, allowing him to form a single-party government. To Fico’s credit, he was careful not to follow the steps of Viktor Orbán’s Hungary in democracy backsliding and curtailing civic or political freedoms. At the same time, even as many partners in the EU and at home sighed with relief, his party machine took control of public money flows and became more entrenched with big business than any government before. It was just a matter of time before the shady corruption bubble would burst. On March 4, Slovak President Andrej Kiska called for either a major government reshuffle or early elections. The combative Fico responded with an accusation that President Kiska had conspired with American philanthropist George Soros—already to favored target of a vicious Orbán campaign. This went too far even for members of the junior coalition party, the liberal Most-Hid (“Bridge”). Snap elections were seen as the only credible solution to quell the mounting protests around the country, and government parties started talks about possible dates. On Wednesday evening, Fico announced that he had negotiated a last-minute deal to save the three-party ruling coalition, and that he was prepared to step down as Slovakia’s Prime Minister. He submitted his resignation the next day, but only after President Kiska agreed to allow Fico’s Smer, as the largest party, to nominate the head of the new government. The newly designated Prime Minister is Peter Pellegrini, one of Fico’s deputies and a former speaker of parliament, who so far has kept a relatively clean track record. In reality, Fico—who is staying on as Smer party chairman—will continue to pull the strings from behind the scenes. His discredited governance model, based on cronyism, will stay in place, just with better PR. Will this be enough to calm the situation? New protests are announced for Friday evening, March 16. The vote of confidence in the old-new Slovak government is expected next week, but it will only be a formality; on Thursday Pellegrini presented the president with a list of signatures of 79 lawmakers guaranteeing a narrow majority in the 150-member parliament. One thing to watch will be the 14 MPs of Most-Hid—its popular minister refused to continue in the new government, but she will stay as MP and vote with the ruling coalition. So what could have swayed the party’s position on the snap elections? The rumor has it that Fico threatened the veteran Most-Hid leader Bela Bugár that he would unleash a harsh Slovak nationalist campaign with fake news, Soros-type accusations, and anti-Hungarian undertones should the party support a snap election, pushing ethnic Hungarian votes into the hands of conservative nationalists from SMK/MKP (4 percent), Most-Hid’s rivals. As a de facto local branch of Orban’s Fidesz party from neighboring Hungary, SMK/MKP would also get funding and Hungarian state media support for the campaign. Such a strategy would play into the hands of Slovak extremists, further weakening the non-Smer alternative. Devilish but effective. But what would you do if you had to choose between maintaining your grip on power or losing it, and thus risking that your people would get a call from empowered and independent prosecutors finally allowed to do their work? The latest developments are a worrying sign that this is a transitional period for Slovakia, and throughout Central and Eastern Europe. 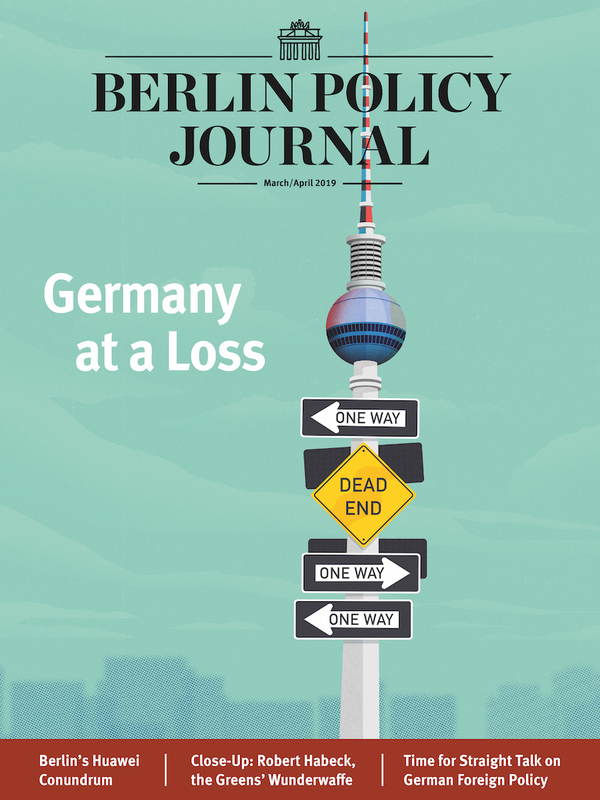 With the exception of illiberal stalwarts Poland and Hungary, it is very hard to say what politics will look like in 2020.
is Senior Fellow at the German Council on Foreign Relations’ (DGAP) Robert Bosch Center for Central and Eastern Europe, Russia, and Central Asia.